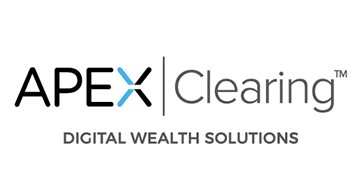 Apex Clearing Corporation is an independent, full-service clearing firm that is leading the way in digital wealth management solutions. We enable innovation in firms of all sizes — from startup Fintechs to Fortune 500 enterprise firms—to transform their business and be a part of the digital revolution in financial services. Our Digital Wealth Solutions help firms operate more efficiently and profitably, give their customers greater control, and reach a new generation of digital investors.